The situation with the Index is still bullish. The market has been consolidating for several days. The structure of wave (5) of  is far from completion, that’s why the instrument may continue growing up in the nearest future. At the H1 chart the price is moving near the channel’s lower border. If the market rebounds from the border, the Index will start moving upwards and form wave . 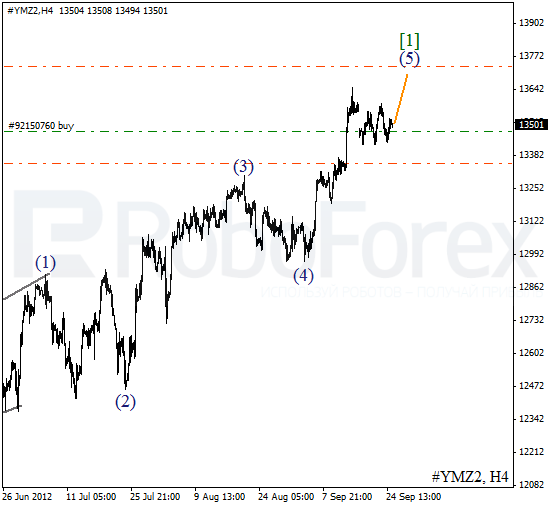 The target for the next several days is at the level of 13700. 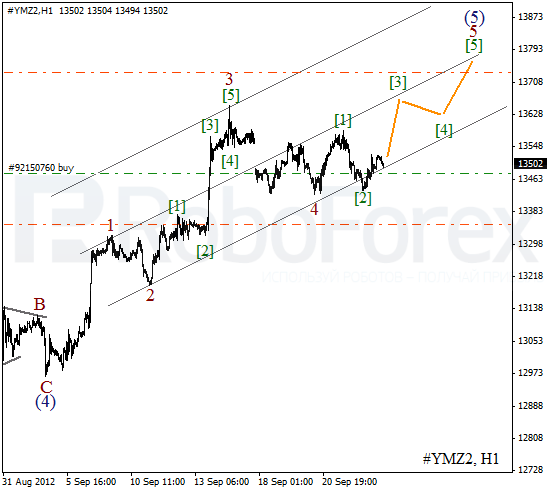 Last week the price completed an ascending impulse inside wave 1. At the moment a correction is taking place, and it may take the form of zigzag pattern. 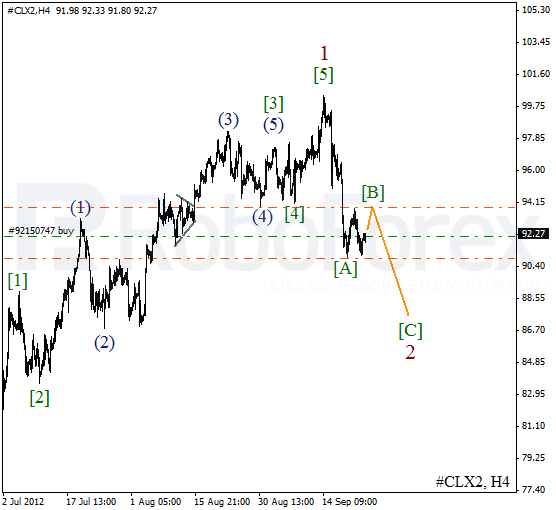 After Oil finishes the formation of wave [B], we can expect the instrument to continue falling down and form wave [C] of 2. 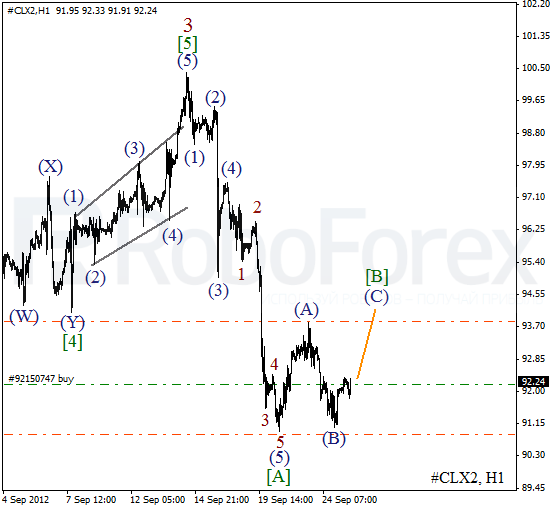 As we can see at the H1 chart, wave (5) of [A] has been completed with an extension. On the minor wave level Oil has finished wave (B). During the next several hours we can expect a local growth inside wave (C) of [B].